On the eve of the 70th Anniversary of D-Day, it is perhaps fitting to advertise Pegasus Bridge, where the first shots of D-Day were fired on the ground. 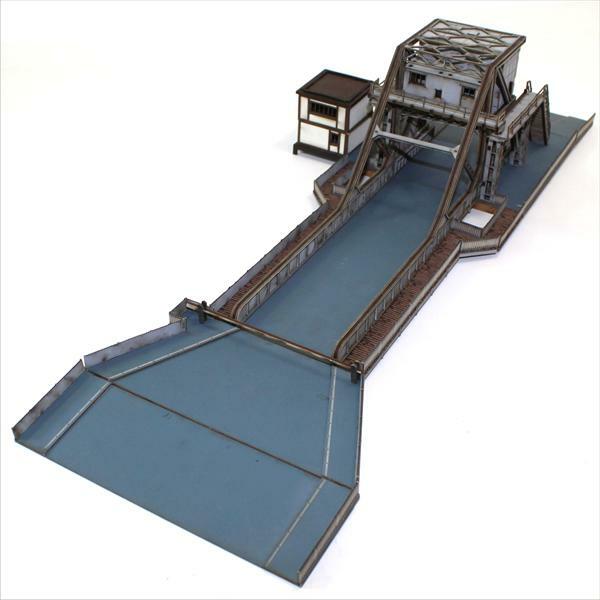 The first was produced for Warlord Games (above)in MDF, 28mm scale and included in their Pegasus Bridge starter set for Bolt Action. It included the Cafe Gondree and the Bunker. This set is available for £175. 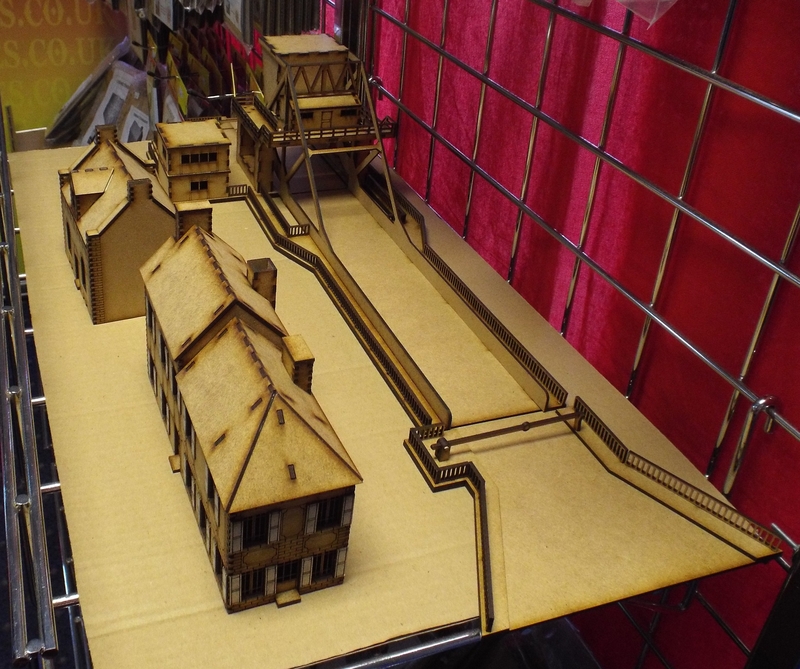 Next up was a 15mm MDF version of the bridge which was released at Salute from Warbases. There is a scenery bundle available which includes the Cafe Gondree, Bunker, HQ and School House. This is priced at £90. All the buildings are available separately, with the bridge costing £60 on it’s own. 4Ground have got in on the act, releasing no less than three different versions in MDF. These are all ready-painted. They are available in 15mm for £58.50 20mm (pictured above) for £108 and 28mm for £146 versions. So, that’s two in each of 15mm, 20mm and 28mm scale. 4Ground has the cheapest in 15mm with the added bonus of it being painted. Najewitz Modellbau’s resin version is much cheaper than the 4Ground version (though unpainted) and the Warlord set looks to be the best deal in 28mm, although again, you will have to get your paint brushes out. 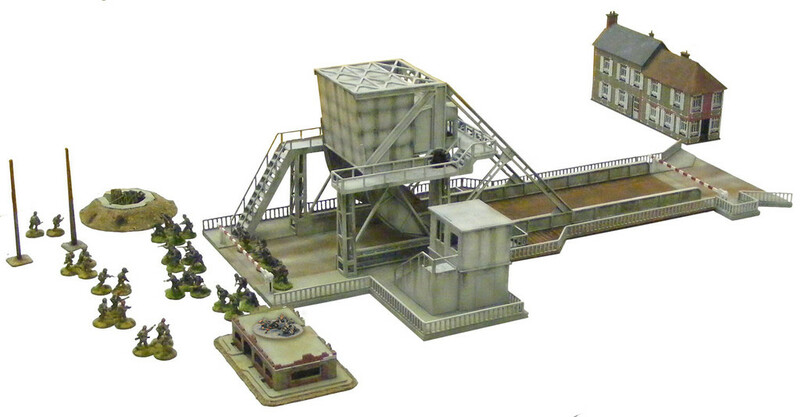 …or maybe use the 15mm bridge with 28mm figures, just to compensate. Thanks for the list, Neil. I wasn’t aware of at least half of those offerings. For me the “already painted” point in favour of 4Ground’s terrain doesn’t really work because these things always need a bit more work for them to look good or at least painted. They do pretty impressive thing with the medium but I’m glad they offer some things unpainted as well and at a lower price. The 15mm Cafe Gondree from 4Ground has window frames that have been cut far too fine. You can break the things with a paintbrush. I think I’m going to have to model it with the shutters firmly closed.